We are always reminding our partners and friends how important network security is. Even with all the latest security technology implemented in your network, the number one threat still exists, your employees. One of the biggest recent threats to your network this past year has been the ransomware called crypto-locker. This advanced threat will find its way into networks through mouse clicks from untrusted sources and attachments from unfamiliar senders. Once crypto-locker finds its way in, it encrypts all of the data on your network and holds it for ransom. Without current backups of your data if you don’t pay the ransom, you don’t get your data back. Sources say even the FBI suggests the safest thing to do for your data is to pay the fee. This past month the hackers have now upped the ante making a new variant of the virus that is even more threatening to your critical business data. Now, if the ransom is not paid by the deadline, the Eastern European hacker group will expose all of your data to the public over the internet. 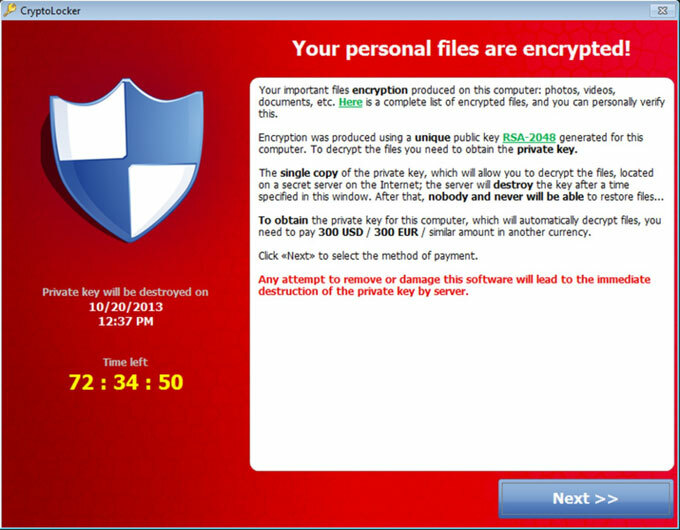 This means all private records including medical, financial, personal, and confidential data will be available to the public making the threat of this crypto-locker variant much more severe compared to earlier versions of the virus. In this case, even though a current backup will get your data back it will not prevent it from being released to the public. Security breaches of this scale have the capacity of permanently crippling businesses. With this being said, it is crucial to the success and longevity of your company that all employees are properly trained on safe internet and network practices. Furthermore, the security risk reaches beyond the computer network as employees must be aware that scammers can also approach them in person or on the phone pretending to be someone they are not in order to gain unauthorized access. But when it comes to crypto-locker, its only possible way of entering your network is through a network user. All employees MUST KNOW not to open attachments or click any links unless it’s from a trustworthy source. This is imperative to the confidentiality and security of your critical business data.